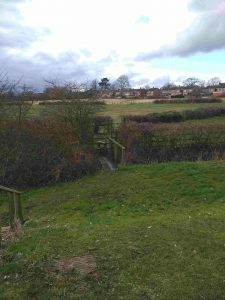 This path ,which is about 270m long, begins in Heath Lane across the road from the end Rushymeadows Way and leads to Longlands Lane. It crosses ancient farmland which has never been ploughed. The ridges in the field pre-date the Enclosure Act which was passed in 1773.